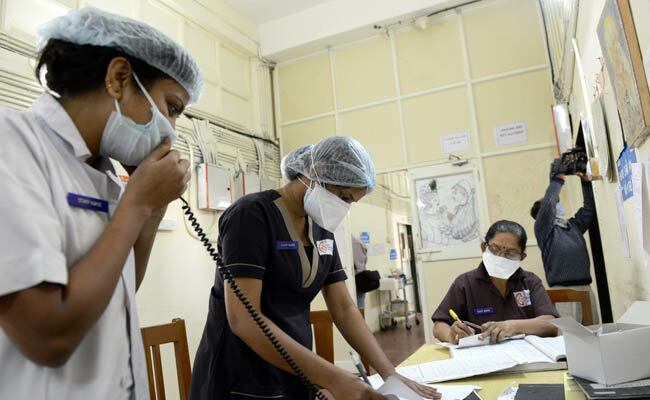 Maharashtra has recorded 284 deaths and 2,324 cases of swine flu till the first week of July. Mumbai: Aamir Khan's video message at the Satyamev Jayate Water Cup Awards event in Pune on Sunday has brought the focus back on swine flu in Maharashtra, especially Mumbai, which managed to control the outbreak last year but hasn't been so successful this year. "It's a happy day but we are very sad... because after working so hard for a year, when the time came for us to celebrate with you, we got this illness. And the disease we are suffering from is one which spreads rapidly. It's called H1N1 or swine flu in common usage... The problem with swine flu is if I go anywhere, I will give it to other people, so we have been forced to stay at home for a week. And that is why we can't be there with you and we're very sad about it," said the 52-year-old actor in a video message. Both Mr Khan and his wife Kiran Rao are down with swine flu. There were just three reported cases of swine flu last year but there have been 835 cases and 16 deaths in Mumbai this year till July. Maharashtra has recorded 284 deaths and 2,324 cases till the first week of July. That's almost 50 per cent of the 600 deaths across the country. Mumbai's civic body, the Brihanmumbai Municipal Corporation or BMC is asking those with symptoms to take inspiration from Aamir Khan and stay put at home. Doctors have been asked to closely monitor high risk groups like pregnant women, elderly groups and people with co-morbid conditions. To ensure that the medication, Oseltamivir, is readily available across the country, the government has removed it from Schedule X and put it in Schedule H1, which means it can be sold across the counter on prescription. At the moment the state has enough stocks of oseltamivir to tackle this year's outbreak, but if this trend continues the state will need more supplies.